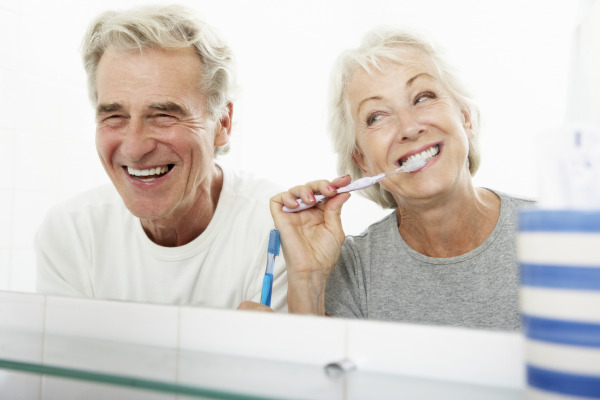 At Kay Family Dentistry in Huntington, we are committed to helping our patients achieve and maintain excellent dental health. It begins with preventive care, which includes a range of dental practices that can keep teeth healthy and fight against dental cavities. Through regular checkups and professional cleanings, combined with good oral hygiene at home, patients can avoid most decay and gum problems. When problems do occur, whether from decay or damage, we have an array of treatment options to correct them. Even with exceptional oral hygiene problems can occur, from discoloration and stains to misaligned, decaying or damaged teeth. Fortunately, there is a solution for just about any problem and at Kay Family Dentistry in Huntington, we are experienced in all areas of dentistry. We will find the right treatment for each individual from young children through adulthood. We serve the whole family and provide special attention to children and fearful adults. Our office and friendly staff create a comfortable and relaxed environment. We focus on complete patient care, meaning beyond simply treating problems, we also educate our patients so that they are fully informed about all available treatment options. When people come here, they are treated like family. We are a Preferred Provider of Invisalign®, an effective cosmetic alternative to traditional metal braces that uses clear plastic aligners to move teeth into position. This is a popular choice for people who want to straighten teeth without the discomfort or appearance of braces. We offer many other cosmetic dental procedures to improve the appearance of teeth. Bright, beautiful smiles are results from procedures such as teeth whitening, porcelain veneers, dental implants and dentures. Root canals, composite and porcelain restorations, gum treatment, tooth alignment, extractions and many other treatments are all part of our family dental practice in Huntington. We make everyone feel welcome, especially children and fearful adults, to encourage routine visits. Remember, regular visits are the best way to prevent serious problems through early detection! If you have anxiety about going to the dentist, our comfortable environment will put you at ease. We will answer any questions that you have and work with you to craft the best treatment plan. We welcome patients from Huntington, Huntington Village, Centerport and surrounding areas to join our dental family. Contact our office today for more information about our general dentists in Huntington. We are ready to serve you and your entire family, protecting oral health and restoring smiles for people of all ages.